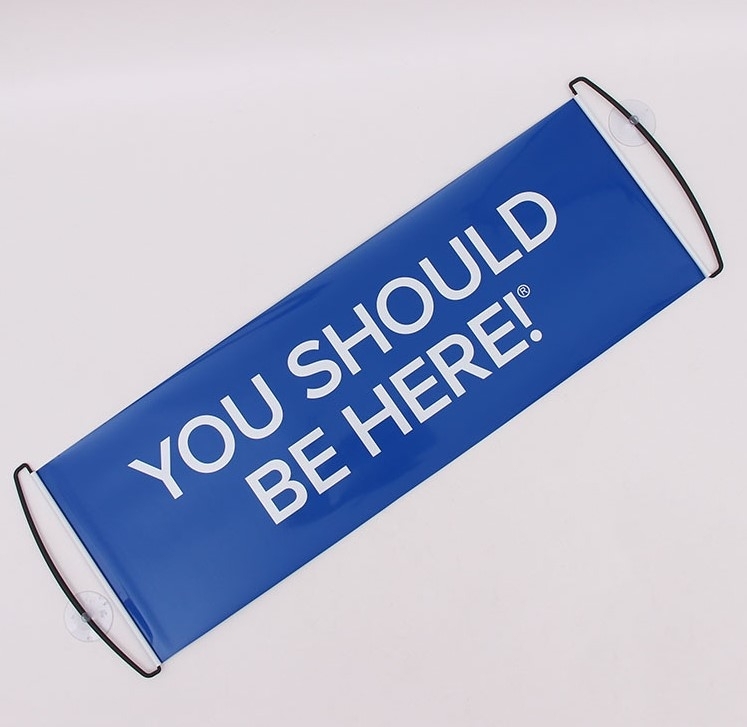 This banner is made of durable polyethylene with strong plastic handles. They roll back up for easy storage/transport. Customized logo and design are welcome. Imprint Size: 26" x 8"
Package: 1 pc/poly bag, 500 pcs/ctn, 37.4 lbs/ctn.